Ingrained with hand drifted thread cords and embedded with restful rudiments, this outfit is a sleek finery for your wardrobes. 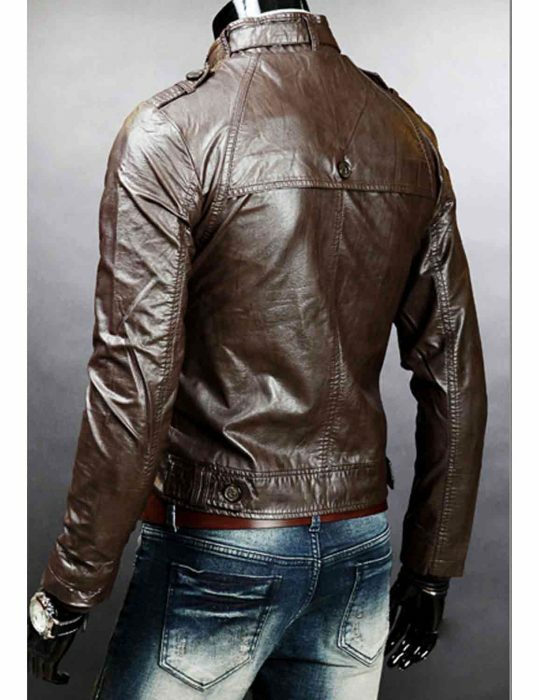 Crafted articulateness on a cowhide and comprising an inner viscose for your restful disposition, this Mens Double Bottom Slim Fit Jacket is the best means to go stylishly swaggered up. You will really enjoy this attire when it comes to donning up. The stand collar revamps your facial identity with a stature that worth acknowledging. A strap belt is added to the neck hold for your undisturbed showy body glory. Originality is clearly demonstrated on this mens in-vogue suit up. 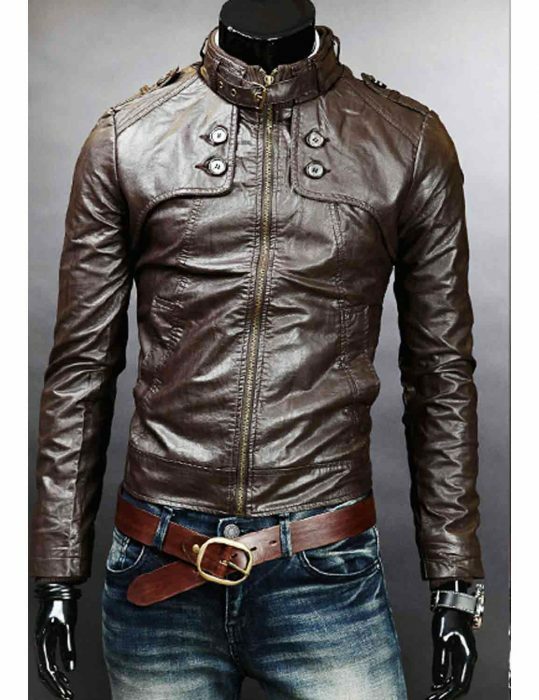 This jacket touches your fashion taste intuitiveness with a struck cord. 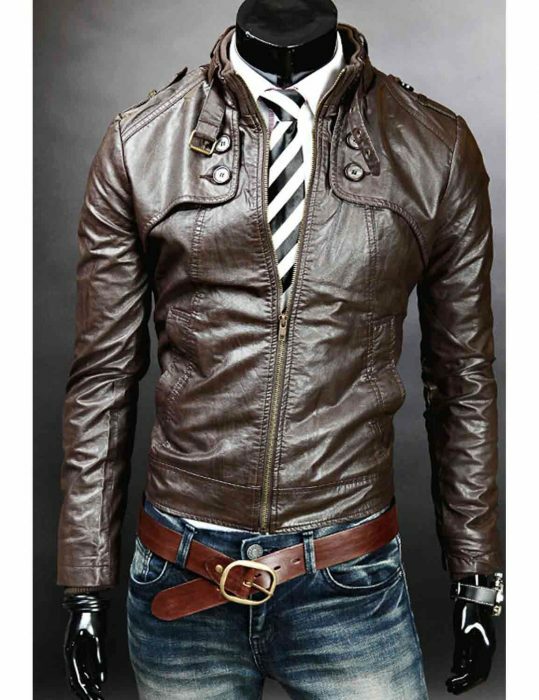 The genuine garb is purely made to satisfy your real/faux leather guarding tempers with downright conviction and unreserved ramp record breaking credentials. Likewise, this Mens Slim Fit Brown Jacket is deep-rooted with button stances and it really makes this jacket something else. Scrupulously made and then detailed here in the description. A sensible grab for your cautious classiness.